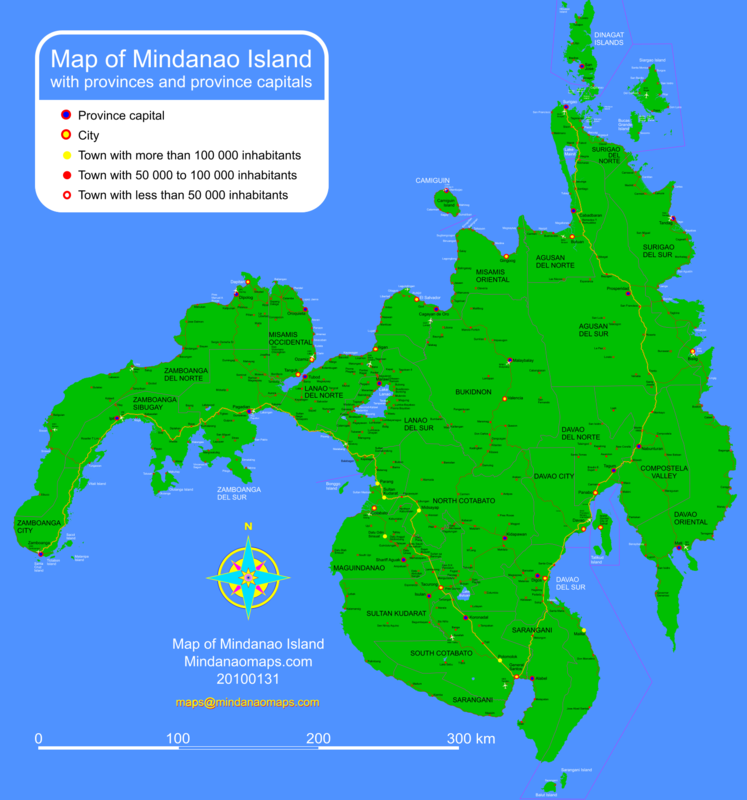 Finally, here is the overview of Mindanao islands with provinces and cities. You may click the image to open the map in PDF format. Or if you prefer PNG format, click on small, medium or large. This map is not yet completed. I am still adding details. I am also working on detailed maps of each province. So please check back regularly. This entry was posted by Leif on Friday, June 12th, 2009 at 11:13	and is filed under Maps Updates. You can follow any responses to this entry through the RSS 2.0 feed. Finally!… I’ve been looking for a mindanao map with provincies and municipalities. I hope you’ll be able to finish the map as soon as possible. I really need it for my job. When was the last time you had worked on this site? Looks like a very long time ago. Please make dates on your material so that your work is most effective. More inferness. Hehehee. Amping po! If you need some help with this at all let me know how I can help. Drop me a message on email ha? Paalam! Have you ever seen a satelite map or something detailed of Polomok and Mount Matotum? Searched a time and looked on google earth but no good result. Would be kind of you to contact me if you got something. Thanks! René, thank you for dropping by. I am working one map at a time. I will be working with the map of Gen. Santos in time. I’d like to see Sulu archipelago and Tawi-Tawi included in the Mindanao map. I have a map of those but I’m not too sure if all islands are accounted for. I’m planning to include Basilan in the Mindanao Map. But Basilan to Tawi-Tawi will be covered by a separate map later. Thank you, Al, for your comment. Hi, thank you for the mindanao map…it really helps me a lot..I read some of your responses regarding polomolok streets. I think you do not have to specify since polomolok is a very small place and the land is more on pineapple plantation. Thank you very very much, this map completes my project. Hi! Good evening . i am looking my relatives in midsayap, name: Villanueva Juanito, Domaboc, Juliana, Amancia. Sana my taong my magandang puso at nakakilala sa kanila…pakisabi hinahanap ko poh sila kung sino man nakakakilala…30 years, mula pagkabata ko hindi ko sila nakikita kung anu ang kani-kanilang mga kaya poh umaasa poh na my mabuting tao na makatulong sking paghahanap…sila yung mga kapatid ni BERNARDA DOMABOC VILLANUEVA,..Ako si emelie,..anak ni BERNARDA. Salamat sa pag-post ng detailed map ng mindanao. It helps a lot in my work… hope to see more maps of the philippine archipelago… Mabuhay ka! please include basilan, sulu and tawi-tawi. I’m working on Basilan map right now. Sulu and Tawi-Tawi will come later on a separate map. Thank you a lot for sharing this with all people you actually recognize what you are talking about! Bookmarked. Kindly also seek advice from my web site =). We can have a link alternate agreement among us! Do you have maps with coordinates/grid? Thanks you sir! this is the very detailed mindanao map that i have search so far. Do you have any maps on the bodies of water surrounding Mindanao? Really appreciate it. Thank you.